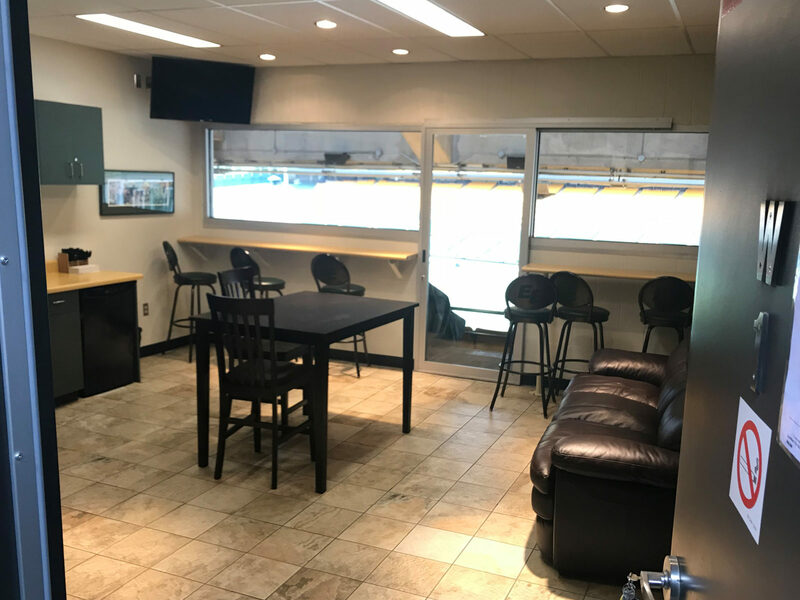 For information on 2018 suites, please email partnerships@esks.com. Suite E14 for 16 people. These 30 – 50 person suites are located on the south end of the building, on the second level. 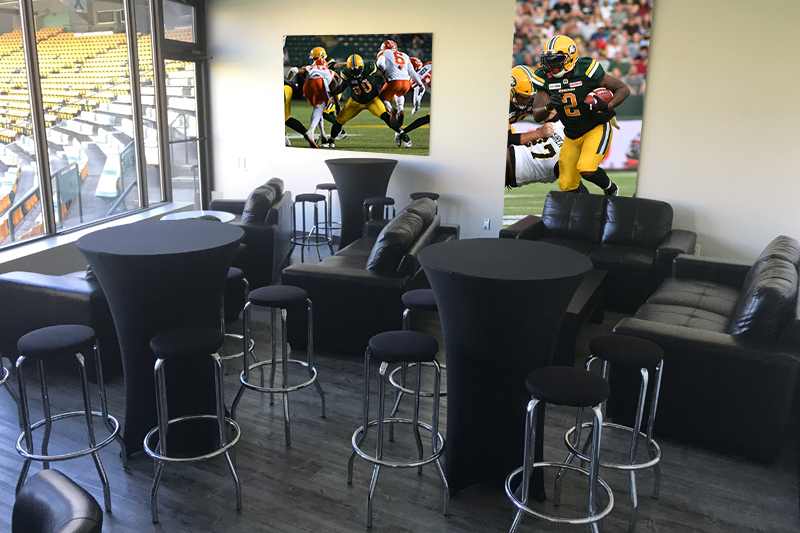 The grand appeal to these suites is the large patio space with permanent seating for the keen football fans, as well as high top tables for socializing. 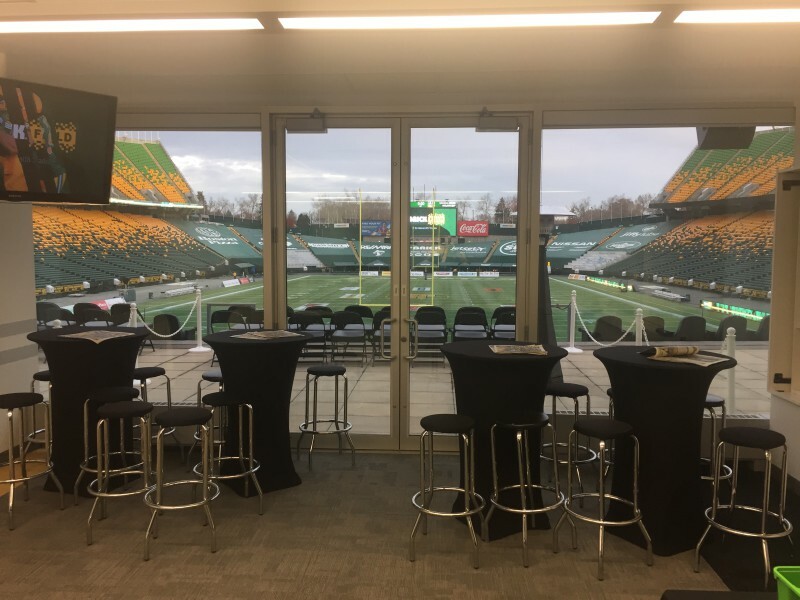 As the later months bring cooler weather, each suite is equipped with patio heaters to ensure you and your guests stay warm while cheering on the Eskimos! This 16 – 20 person suite is an extension of the Director’s Club, however is an exclusive space to you and your guests. The bar in the Director’s Club is just a few steps away from your private room, where you can also enjoy catering by the Sawmill Restaurant Group. The room features floor to ceiling windows providing a panoramic view of the entire stadium with soft seating for your comfort. This suite features a TV so you and your guests can stay updated on the 50/50 and catch replays. 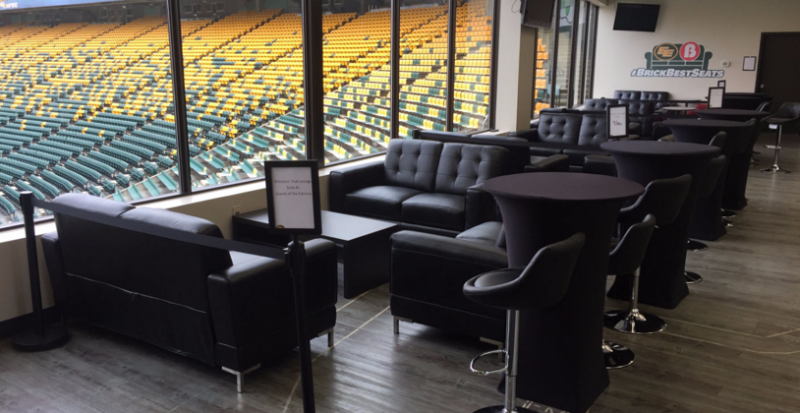 The Director’s Club Lounge is a semi private lounge for 10 people, over looking the field from the south end. One lounge area will consist of your own soft seating spaces, access to private cash bar, and a high end buffet, which is included in the price. There are only 4 of these areas available and are sold at an annual level. Additional standing room tickets may be purchased for each suite. Friends, family and colleagues already in possession of game tickets are welcome into the suite as well.